Please carefully review these terms and conditions of use before using this site or accessing any data thereon. Any use of this website creates a binding agreement to comply with these terms and conditions. If you do not agree to these terms without limitation or exclusions, you must exit this site immediately. The following are terms of a legal agreement (the “Agreement”) between you, individually and/or as an agent on behalf of an entity or another registered user (“you”) and US Homes Asia that sets forth the terms and conditions for your use of this web site at ushomesasia.com, including any subdomain thereof (the “Site”). The Site is owned and operated by US Homes Asia. This Site is being provided to you expressly subject to this Agreement. By accessing, browsing and/or using the Site, you acknowledge that you have read, understood, and agree to be bound by the terms of this Agreement and to comply with all applicable laws and regulations. The terms and conditions of this Agreement form an essential basis of the bargain between you and US Homes Asia. US Homes Asia reserves the right to amend this Agreement at any time and will notify you of any such changes by posting the revised Agreement on the Site. You should check this Agreement on the Site periodically for changes. All changes shall be effective upon posting. Your continued use of the Site after any change to this Agreement constitutes your agreement to be bound by any such changes. US Homes Asia may terminate, suspend, change, or restrict access to all or any part of this Site without notice or liability. The copyright in all material on this Site, including without limitation the text, data, articles, design, source code, software, photos, images and other information (collectively the “Content”), is held by US Homes Asia or by the original creator of the material and is protected by U.S. and International copyright laws or treaties. You agree that the Content may not be copied, reproduced, distributed, republished, displayed, posted or transmitted in any form or by any means, including, but not limited to, electronic, mechanical, photocopying, recording, or otherwise, without the express prior written consent of US Homes Asia. You acknowledge that the Content is and shall remain the property of US Homes Asia. You may not modify, participate in the sale or transfer of, or create derivative works based on any Content, in whole or in part. The use of the Content on any other website, including by linking or framing, or in any networked computer environment for any purpose, is prohibited without US Homes Asia’s prior written approval. You also may not, without US Homes Asia’s express written permission, “mirror” any material contained on this Site on any other server. Any unauthorized use of any Content on this Site may violate copyright laws, trademark laws, the laws of privacy and publicity, and communications statutes and regulations. You agree to use the Content and Site only for lawful purposes. You are prohibited from any use of the Content or Site that would constitute a violation of any applicable law, regulation, rule or ordinance of any nationality, state, or locality or of any international law or treaty, or that could give rise to any civil or criminal liability. Any unauthorized use of the Site, including but not limited to unauthorized entry into US Homes Asia’s systems, misuse of passwords, or misuse of any information posted on the Site is strictly prohibited. US Homes Asia makes no claims concerning whether the Content may be downloaded or is appropriate for use outside of the United States. If you access this Site from outside of the United States, you are solely responsible for ensuring compliance with the laws of your specific jurisdiction. Your eligibility for particular products or services is subject to final determination by US Homes Asia. You agree not to post, upload, publish, display, transmit, reproduce, share, store or otherwise make or attempt to make publicly available on the Site or on any other website, or in any email, blog, forum, medium or other communication of any kind, any private or personally identifiable information of any US Homes Asia member or other third party, including, without limitation, names, addresses, phone numbers, email addresses, Social Security numbers, driver’s license numbers, or bank account or credit card numbers, whether or not such private or personally identifiable information is displayed on or ascertainable from the Site, or obtained or obtainable from sources unrelated to the Site (such as from a “Google® search” or other online research). US Homes Asia (including the US Homes Asia logo), ushomesasia.com, and all related logos (collectively the “US Homes Asia Trademarks”) are trademarks or service marks of US Homes Asia. Other company, product, and service names and logos used and displayed on this Site may be trademarks or service marks owned by US Homes Asia or others. Nothing on this Site should be construed as granting, by implication, estoppel, or otherwise, any license or right to use any of the US Homes Asia Trademarks displayed on this Site, without our prior written permission in each instance. You may not use, copy, display, distribute, modify or reproduce any of the trademarks found on the Site unless in accordance with written authorization by US Homes Asia. 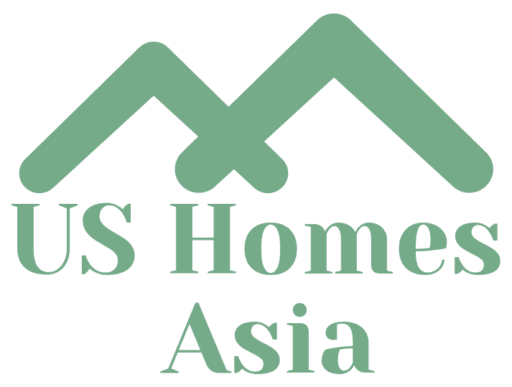 US Homes Asia prohibits use of any of the US Homes Asia Trademarks as part of a link to or from any site unless establishment of such a link is approved in writing by US Homes Asia in advance. Any questions concerning any US Homes Asia Trademarks, or whether any mark or logo is a US Homes Asia Trademark, should be referred to US Homes Asia. Whether you choose to participate on the Site as a borrower or investor, or in another manner, from time to time you will receive disclosures, notices, documents and information (“Communications”) as required by law from US Homes Asia, WebBank, an FDIC-insured Bank(“WebBank”) or our respective agents (collectively, “we” or “us”). This section informs you of your rights when receiving Communications from us electronically. Electronic Communications. You agree that all Communications from US Homes Asia, WebBank, and our respective agents relating to your use of the Site or related services may be provided or made available to you electronically by e-mail or at the Site. You have the right to receive a free paper copy of any Communication by contacting us in the manner described below. We may discontinue electronic provision of Communications at any time in our sole discretion. Scope of Consent. Your consent to receive Communications and do business electronically, and our agreement to do so, applies to all of your interactions and transactions to which such Communications relate, whether between you and US Homes Asia or you and WebBank. Hardware and Software Requirements. To access and retain the Communications electronically, you will need to use a device with an internet connection and an up-to-date browser capable of opening portable document formats (“PDF”), such as Microsoft Internet Explorer (see www.microsoft.com/ie for current version) or Mozilla Firefox (see www.mozilla.com for current version), and a valid email address that has been provided to US Homes Asia. You acknowledge that you can receive and access communications in the formats described herein. For access and optimal printing of your loan documents in PDF format, please download Adobe Reader (to install the free version of Adobe Reader click here: http://get.adobe.com/reader/otherversions/). You acknowledge that you can access the electronic Communications in the designated formats described herein. Communications. You can find apps that support printing and saving for most mobile devices through your mobile device’s app store. If your mobile device does not have this functionality, you must access our website through alternate means that provide you with the ability to print and save the Communications. Withdrawing Consent. You may withdraw your consent to receive Communications electronically by contacting us in the manner described below. If you withdraw your consent, from that time forward (1) you cannot place any further listings or bids through the US Homes Asia platform, and (2) any pending listings or bids will automatically terminate and be removed from the US Homes Asia platform. The withdrawal of your consent will not affect the legal validity and enforceability of any pending loans obtained through the US Homes Asia platform, or any electronic Communications provided or business transacted between us prior to the time you withdraw your consent. With respect to pending loans on which you are a borrower or investor, we will send you any further Communications by mail or other non-electronic means. Assignment. In addition, you further acknowledge that your consent to have all Communications provided or made available to you in electronic form and to do business on or through the US Homes Asia platform is assignable to any entity that succeeds US Homes Asia in servicing your loan, and/or owns a (i) Promissory Note evidencing a loan you obtained through the US Homes Asia platform; or (ii) Borrower Payment Dependent Note you purchased through the US Homes Asia platform. Notice: You may request that the initial disclosures prescribed in the Truth in Lending Act (15 United States Code sections 1601 through 1666j) be provided in Spanish before signing any loan documents. Aviso: Usted puede solicitar que las divulgaciones iniciales prescritas en la Ley Truth in Lending Act (15 Código de los Estados Unidos secciones 1601 hasta 1666j) sean proporcionadas en español antes de firmar cualesquiera documentos del préstamo. Notice: Before signing any loan documents or otherwise committing to a loan, you may download and print copies of those documents from our website and keep them for your review. Married registrants may apply for a separate account. AS REQUIRED BY LAW, YOU ARE HEREBY NOTIFIED THAT A NEGATIVE CREDIT REPORT REFLECTING ON YOUR CREDIT RECORD MAY BE SUBMITTED TO A CREDIT REPORTING AGENCY IF YOU FAIL TO FULFILL THE TERMS OF YOUR CREDIT OBLIGATIONS. NOTICE TO CONSUMER: 1. Do not sign this paper before you read it. 2. You are entitled to a copy of this paper. 3. You may prepay the unpaid balance at any time without penalty and may be entitled to receive a refund of unearned charges in accordance with law. NOTICE TO CONSUMER: 1. Do not sign this agreement before you read it. 2. You are entitled to a copy of this agreement. 3. You may prepay the unpaid balance at any time without penalty. This loan is being made under, and shall be governed by, the provisions of Subtitle 10 of Title 12 of the Commercial Law Article of the Maryland Code only to the extent that such provisions are not inconsistent with federal law (12 U.S.C. § 1831d) and related regulations and interpretations. Massachusetts law prohibits discrimination based upon marital status or sexual orientation. NOTICE TO CONSUMER: Do not sign this agreement before you read it. You are entitled to a copy of this agreement. Maine law requires that the following disclosures be provided to you before any contract is signed with, and before any money is paid to, US Homes Asia or to third parties. The agreement between you and US Homes Asia must be in writing and signed, and must contain a description of the services to be performed, payment details, any guarantees, the time frame of the contract, and offers of full or partial refunds, as well as a notice informing you of the importance of reading the contract and retaining a copy. US Homes Asia has a $25,000 consumer protection bond on file with the State of Maine. If you have a claim against US Homes Asia that cannot be resolved through informal means, you may institute an action to recover your loss from that bond by filing a written complaint with the Superintendent, Bureau of Consumer Credit Protection, 35 State House Station, Augusta, Maine 04333-0035. Oral agreements or commitments to loan money, extend credit or to forbear from enforcing repayment of a debt including promises to extend or renew such debt are not enforceable. To protect you and US Homes Asia from misunderstanding or disappointment, any agreements we reach covering such matters are contained in this writing, which is the complete and exclusive statement of the agreement between us, except as we may later agree in writing to modify it. MONEY BROKERS ARE LICENSED AND REGULATED BY THE DEPARTMENT OF FINANCIAL INSTITUTIONS, 2000 SCHAFER STREET, SUITE G, BISMARCK, NORTH DAKOTA 58501-1204. THE DEPARTMENT OF FINANCIAL INSTITUTIONS HAS NOT PASSED ON THE MERITS OF THE CONTRACT AND LICENSING DOES NOT CONSTITUTE AN APPROVAL OF THE TERMS OF THE BROKER’S ABILITY TO ARRANGE ANY LOAN. COMPLAINTS REGARDING THE SERVICES OF MONEY BROKERS SHOULD BE DIRECTED TO THE DEPARTMENT OF FINANCIAL INSTITUTIONS. For primarily non-consumer purpose loans: Oral agreements or oral commitments to loan money, extend credit, or to forbear from enforcing repayment of a debt are not enforceable under Washington law. NOTICE TO CUSTOMER: (a) DO NOT SIGN THIS IF IT CONTAINS ANY BLANK SPACES. (b) YOU ARE ENTITLED TO AN EXACT COPY OF ANY AGREEMENT YOU SIGN. (c) YOU HAVE THE RIGHT AT ANY TIME TO PAY IN ADVANCE THE UNPAID BALANCE DUE UNDER THIS AGREEMENT AND YOU MAY BE ENTITLED TO A PARTIAL REFUND OF THE FINANCE CHARGE. No provision of a marital property agreement, a unilateral statement or a court decree adversely affects the interest of the creditor unless the creditor, prior to the time the credit is granted, is furnished a copy of the agreement, statement or decree or has actual knowledge of the adverse provision when the obligation to the creditor is incurred. None of US Homes Asia, its parent, any of its affiliates, providers or their respective officers, directors, employees, agents, independent contractors or licensors (collectively the “US Homes Asia Parties”) guarantees the accuracy, adequacy, timeliness, reliability, completeness, or usefulness of any of the Content and the US Homes Asia Parties disclaim liability for errors or omissions in the Content. This Site and all of the Content is provided “as is” and “as available,” without any warranty, either express or implied, including the implied warranties of merchantability, fitness for a particular purpose, non-infringement or title. Additionally, there are no warranties as to the results of your use of the Content. The US Homes Asia Parties do not warrant that the Site is free of viruses or other harmful components. This does not affect those warranties which are incapable of exclusion, restriction or modification under the laws applicable to this Agreement. The US Homes Asia Parties may discontinue or make changes in the Content and Site at any time without prior notice to you and without any liability to you. Any dated information is published as of its date only, and the US Homes Asia Parties do not undertake any obligation or responsibility to update or amend any such information. The US Homes Asia Parties reserve the right to terminate any or all Site offerings or transmissions without prior notice to you. This Site could contain technical inaccuracies or typographical errors. Use of this Site is at your own risk. Under no circumstances will the US Homes Asia Parties be liable for any damages including general, special, direct, indirect, incidental, consequential, punitive or any other damages (including, without limitation, lost profits or business interruption) of any kind whether in an action in contract or negligence arising or relating in any way to the use or inability to use by any party of the content, the Site or any third-party site to which this Site is linked, or in connection with any failure of performance, error, omission, interruption, defect, delay in operation or transmission, computer virus or line or system failure, even if US Homes Asia Parties, or representatives thereof, are advised of the possibility of such damages, losses or expenses. The US Homes Asia Parties are not liable for any defamatory, offensive or illegal conduct of any user. Your sole remedy for dissatisfaction with this Site is to stop using the Site. If your use of materials from this Site results in the need for servicing, repair or correction of equipment or data, you assume any costs thereof. If the foregoing limitation is found to be invalid, you agree that the US Homes Asia Parties’ total liability for all damages, losses, or causes of action of any kind or nature shall be limited to the greatest extent permitted by applicable law. You agree to indemnify and hold harmless US Homes Asia Parties from and against any and all claims, losses, expenses, demands or liabilities, including attorneys’ fees and costs, incurred by the US Homes Asia Parties in connection with any claim by a third party (including any intellectual property claim) arising out of (i) materials and content you submit to, post to or transmit through the Site, or (ii) your use of the Site in violation of this Agreement or in violation of any applicable law. You further agree that you will cooperate fully in the defense of any such claims. US Homes Asia Parties reserve the right, at their own expense, to assume the exclusive defense and control of any matter otherwise subject to indemnification by you, and you shall not in any event settle any such claim or matter without the written consent of US Homes Asia. You further agree to indemnify and hold harmless US Homes Asia Parties from any claim arising from a third party’s use of information or materials of any kind that you post to the Site. US Homes Asia has no obligation to monitor the Site; however, you acknowledge and agree that US Homes Asia has the right to monitor the Site electronically from time to time and to disclose any information as necessary or appropriate to satisfy any law, regulation or other governmental request, to operate the Site, present marketing or other promotional offers to you either on the Site or on a third party site, or to protect itself or other users of the Site. This Site is not intended for distribution to, or use by, any person or entity in any jurisdiction or country where such distribution or use would be contrary to applicable law or regulation. By offering this Site and Content no distribution or solicitation is made by US Homes Asia to any person to use the Site or Content in jurisdictions where the provision of the Site and/or Content is prohibited by law. This Agreement is effective until terminated by US Homes Asia. US Homes Asia may terminate this Agreement at any time without notice, or suspend or terminate your access and use of the Site at any time, with or without cause, in US Homes Asia’s absolute discretion and without notice. The following provisions of this Agreement shall survive termination of your use or access to the Site: the sections concerning Indemnification, Disclaimer of Warranties, Limitation of Liability, Waiver, Applicable Law and Dispute Resolution, and General Provisions, and any other provision that by its terms survives termination of your use or access to the Site. Failure by US Homes Asia to enforce any of its rights under this Agreement shall not be construed as a waiver of those rights or any other rights in any way whatsoever. RESOLUTION OF DISPUTES: YOU ACKNOWLEDGE THAT YOU HAVE READ THIS PROVISION CAREFULLY, AND UNDERSTAND THAT IT LIMITS YOUR RIGHTS IN THE EVENT OF A DISPUTE BETWEEN YOU AND US. YOU UNDERSTAND THAT YOU HAVE THE RIGHT TO REJECT THIS PROVISION, AS PROVIDED IN PARAGRAPH (i) BELOW. (iii) “Claim” means any dispute, claim, or controversy (whether based on contract, tort, intentional tort, constitution, statute, ordinance, common law, or equity, whether pre-existing, present, or future, and whether seeking monetary, injunctive, declaratory, or any other relief) arising from or relating to this Agreement or the relationship between us and you (including claims arising prior to or after the date of the Agreement, and claims that are currently the subject of purported class action litigation in which you are not a member of a certified class), and includes claims that are brought as counterclaims, cross claims, third party claims or otherwise, as well as disputes about the validity or enforceability of this Agreement or the validity or enforceability of this Arbitration Section. (b) Any Claim shall be resolved, upon the election of either us or you, by binding arbitration administered by the American Arbitration Association or JAMS, under the applicable arbitration rules of the administrator in effect at the time a Claim is filed (“Rules”). Any arbitration under this Agreement will take place on an individual basis; class arbitrations and class actions are not permitted. If you file a claim, you may choose the administrator; if we file a claim, we may choose the administrator, but we agree to change to the other permitted administrator at your request (assuming that the other administrator is available). You can obtain the Rules and other information about initiating arbitration by contacting the American Arbitration Association at 1633 Broadway, 10th Floor, New York, NY 10019, www.adr.org; or by contacting JAMS at 1920 Main Street, Suite 300, Irvine, CA 92614, (949) 224-1810, www.jamsadr.com. The address for serving any arbitration demand or claim on us is US Homes Asia Marketplace, Inc., 221 Main Street, Suite 300, San Francisco, CA 94105, Attention: Compliance. (c) Claims will be arbitrated by a single, neutral arbitrator, who shall be a retired judge or a lawyer with at least ten years’ experience. We agree not to invoke our right to elect arbitration of an individual Claim filed by you in a small claims or similar court (if any), so long as the Claim is pending on an individual basis only in such court. (d) We will pay all filing and administration fees charged by the administrator and arbitrator fees up to $1,000, and we will consider your request to pay any additional arbitration costs. If an arbitrator issues an award in our favor, you will not be required to reimburse us for any fees we have previously paid to the administrator or for which we are responsible. If you receive an award from the arbitrator, we will reimburse you for any fees paid by you to the administrator or arbitrator. Each party shall bear its own attorney’s, expert’s and witness fees, which shall not be considered costs of arbitration; however, if a statute gives you the right to recover these fees, or fees paid to the administrator or arbitrator, then these statutory rights will apply in arbitration. (e) Any in-person arbitration hearing will be held in the city with the federal district court closest to your residence, or in such other location as you and we may mutually agree. The arbitrator shall apply applicable substantive law consistent with the Federal Arbitration Act, 9 U.S.C. § 1-16, and, if requested by either party, provide written reasoned findings of fact and conclusions of law. The arbitrator shall have the power to award any relief authorized under applicable law. Any appropriate court may enter judgment upon the arbitrator’s award. The arbitrator’s decision will be final and binding except that: (1) any party may exercise any appeal right under the FAA; and (2) any party may appeal any award relating to a claim for more than $100,000 to a three-arbitrator panel appointed by the administrator, which will reconsider de novo any aspect of the appealed award. The panel’s decision will be final and binding, except for any appeal right under the FAA. Unless applicable law provides otherwise, the appealing party will pay the appeal’s cost, regardless of its outcome. However, we will consider any reasonable written request by you for us to bear the cost. (f) YOU AND WE AGREE THAT EACH MAY BRING CLAIMS AGAINST THE OTHER ONLY IN OUR INDIVIDUAL CAPACITY, AND NOT AS A PLAINTIFF OR CLASS MEMBER IN ANY PURPORTED CLASS OR REPRESENTATIVE PROCEEDING. Further, unless both you and we agree otherwise in writing, the arbitrator may not consolidate more than one person’s claims. The arbitrator shall have no power to arbitrate any Claims on a class action basis or Claims brought in a purported representative capacity on behalf of the general public, other borrowers, or other persons similarly situated. The validity and effect of this paragraph (f) shall be determined exclusively by a court, and not by the administrator or any arbitrator. (g) If any portion of this Arbitration Section is deemed invalid or unenforceable for any reason, it shall not invalidate the remaining portions of this section. However, if paragraph (f) of this Arbitration Section is deemed invalid or unenforceable in whole or in part, then this entire Arbitration Section shall be deemed invalid and unenforceable. The terms of this Arbitration Section will prevail if there is any conflict between the Rules and this section. (h) YOU AND WE AGREE THAT, BY ENTERING INTO THIS AGREEMENT, THE PARTIES ARE EACH WAIVING THE RIGHT TO A TRIAL BY JURY OR TO PARTICIPATE IN A CLASS ACTION. YOU AND WE ACKNOWLEDGE THAT ARBITRATION WILL LIMIT OUR LEGAL RIGHTS, INCLUDING THE RIGHT TO PARTICIPATE IN A CLASS ACTION, THE RIGHT TO A JURY TRIAL, THE RIGHT TO CONDUCT FULL DISCOVERY, AND THE RIGHT TO APPEAL (EXCEPT AS PERMITTED IN PARAGRAPH (e) OR UNDER THE FEDERAL ARBITRATION ACT). (i) You understand that you may reject the provisions of this Arbitration Section, in which case neither us nor you will have the right to elect arbitration. Rejection of this Arbitration Section will not affect the remaining parts of this Agreement. To reject this Arbitration Section, you must send us written notice of your rejection within 30 days after the date that this Agreement was made. You must include your name, address, and account number. (j) You and we acknowledge and agree that the arbitration agreement set forth in this Arbitration Section is made pursuant to a transaction involving interstate commerce, and thus the Federal Arbitration Act shall govern the interpretation and enforcement of this Arbitration Section. This Arbitration Section shall survive the termination of this Agreement. (k) This Arbitration Section shall not apply to covered borrowers as defined in the Military Lending Act. In the event that a dispute does not proceed to arbitration, this Agreement and all other aspects of your use of the Site shall be governed by and construed in accordance with the laws of the United States and, to the extent applicable, to the laws of the State of California, without regard to its conflict of laws rules. You agree that you will notify US Homes Asia in writing of any claim or dispute concerning or relating to the Site and the information or services provided through it, and give US Homes Asia a reasonable period of time to address it BEFORE bringing any legal action, either individually, as a class member or representative, or as a private attorney general, against US Homes Asia. This Agreement shall be subject to any other agreements you have entered into with US Homes Asia. 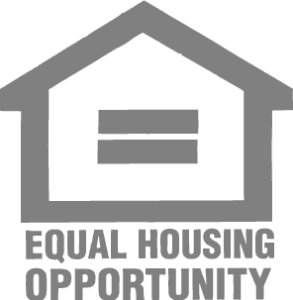 If you have questions regarding the Agreement or the practices of US Homes Asia, please contact us by e-mail at [email protected]ushomesasia.com.